Salon Glow has been in business since 2005 at the popular and busy Roslevan Shopping Centre, Ennis, Co Clare. Since opening the salon has continued to grow steadily and currently offers Hair, Beauty, Tanning and Nail treatments. We pride ourselves in offering an excellent customer service and it is our aim to exceed your expectations. 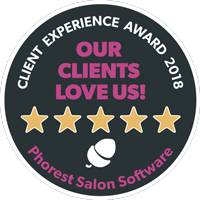 Our team is highly qualified and we keep up with latest trends in both the Hair & Beauty sectors, by offering continuous free training to all our staff. For your convenience we offer an on-line booking service, through this website or through the Salon Glow App. We also offer a Treatcard Loyalty Program as a reward to our regular clients. Why not pay us a visit and let us pamper you! Free Parking & Wheelchair access.